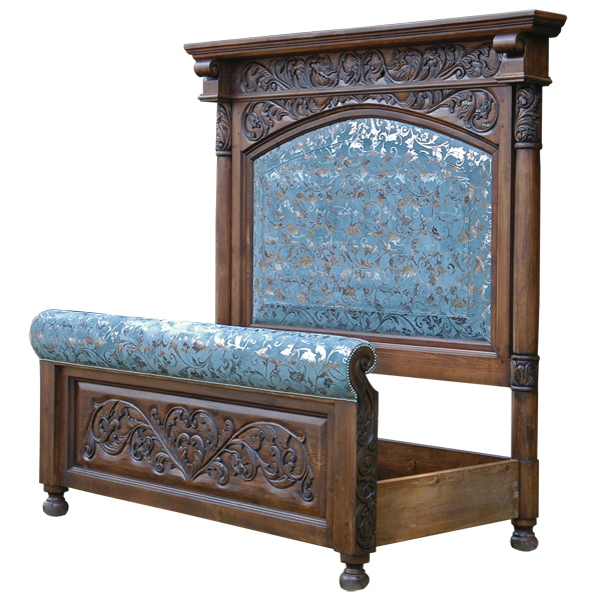 Adorn your bedroom with the spectacular, decorative, Baroque details of this handcrafted, Spanish colonial style bed. The top of the headboard has a straight, crown molding, and below the molding are exquisite, hand carved, floral and scroll designs. On each side of the hand carved designs are scroll, hand carved details, which are connected by a staggered, solid wood molding. Beneath the molding are additional, hand carved, floral and scroll designs. The padded face of the headboard has an elegant, arched design, which is covered with magnificent, blue and silver, patterned, full grain leather. 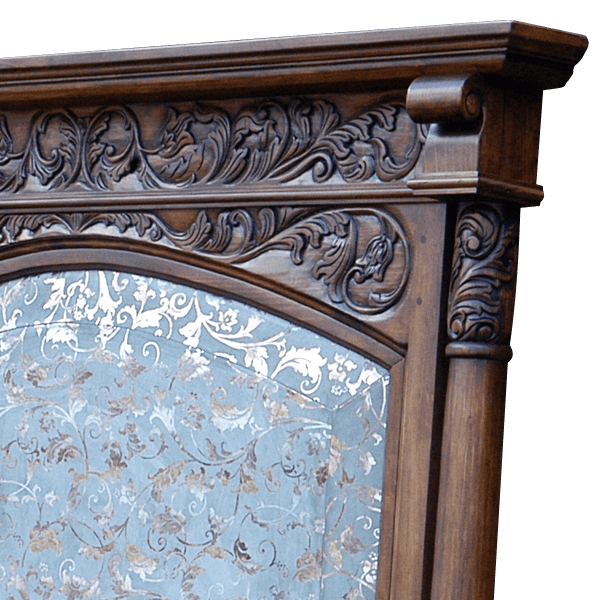 The headboard is framed with two, hand turned columns, and the top and the base of the columns are embellished with gorgeous, hand carved, floral designs. The top of the padded footboard has a rounded design, which is covered with matching, blue and silver, patterned, full grain leather. 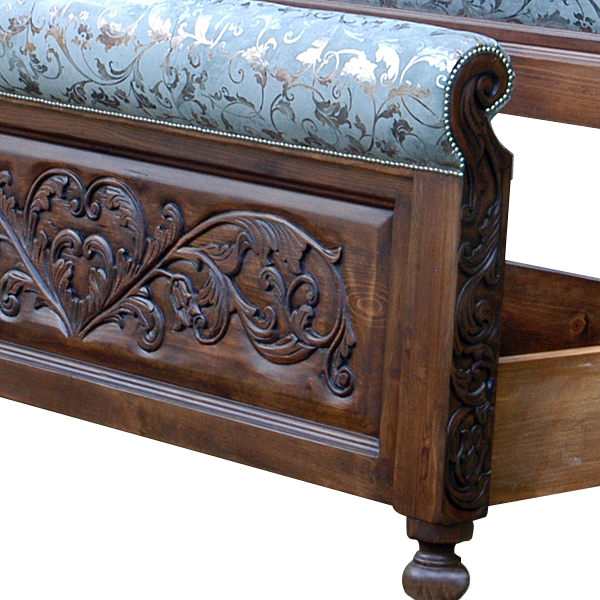 The front of the footboard has a wide, rectangular cut design, and within the design are gorgeous, hand carved, floral and scroll details. The bed has solid wood, side supports, and the bed rest on hand turned, bun style feet. It has a classic finish, and it is made with the best, sustainable, solid wood available. The bed is 100% customizable.